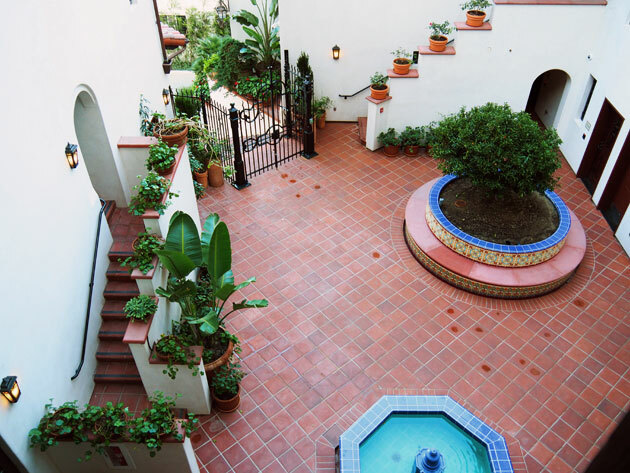 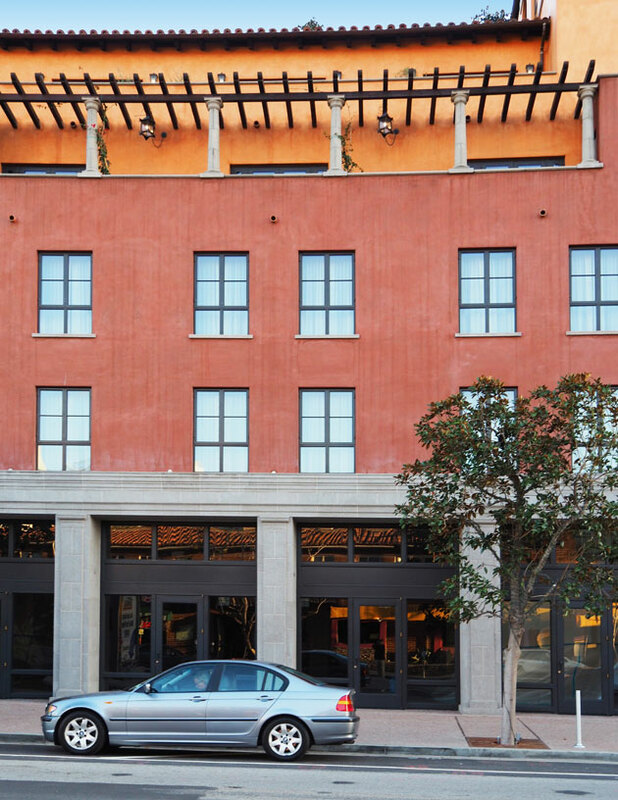 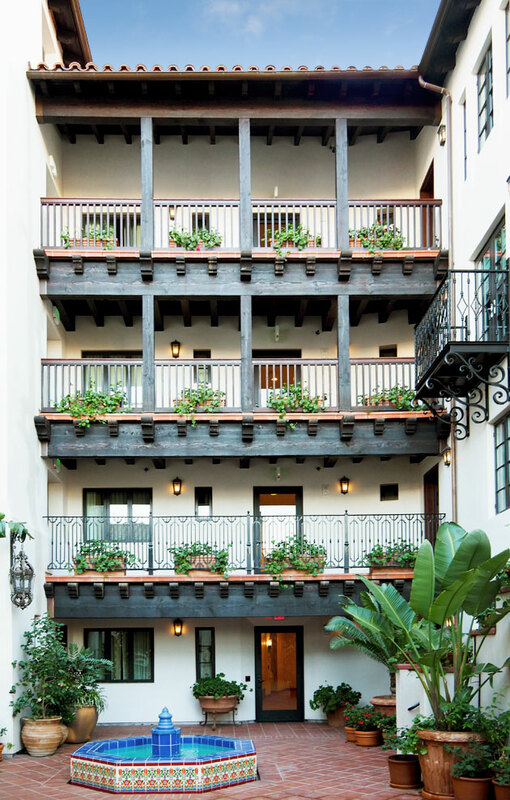 Client: 10844–52 Lindbrook Drive, Inc.
Plaza la Reina, located in historic Westwood Village, consists of a 44-room residential hotel above retail organized around a public courtyard. 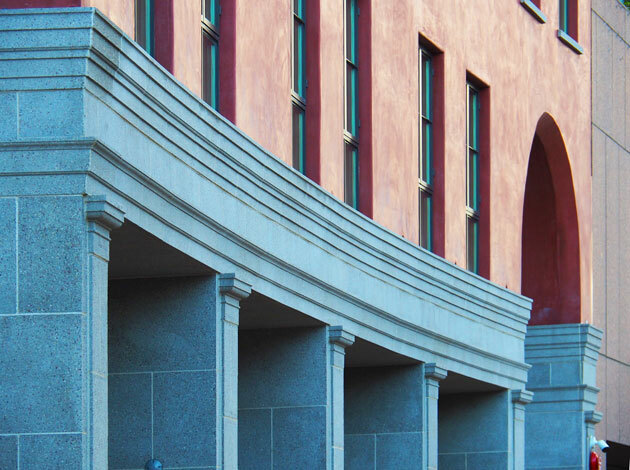 The building masses step in height in order to serve as a transition between a 23-story office tower to the west and a historic two-story court to the east. 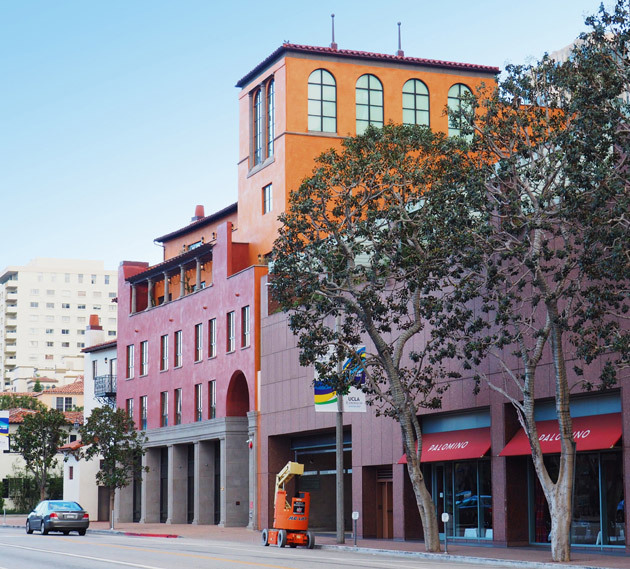 The east alley is transformed into a beautifully landscaped lane where the parking entrance is located in order to minimize the impact on pedestrians and to keep the frontage on Lindbrook Drive uninterrupted. 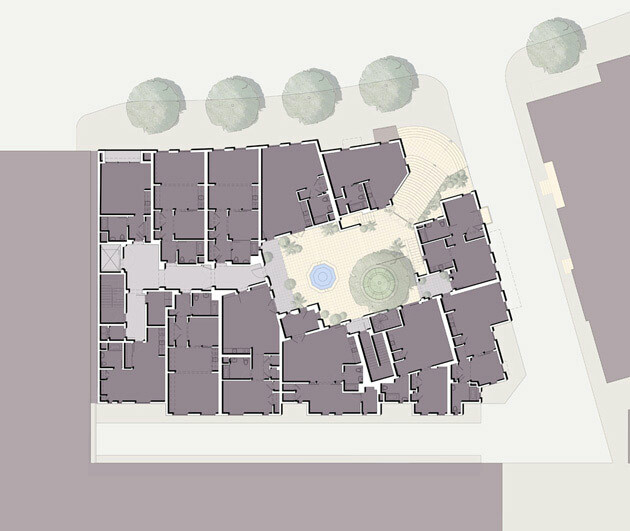 Live-work units line the new lane, complementing existing entry stoops that face directly opposite. 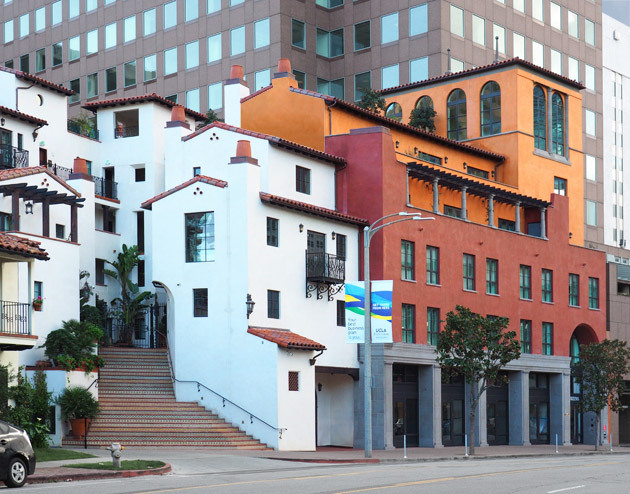 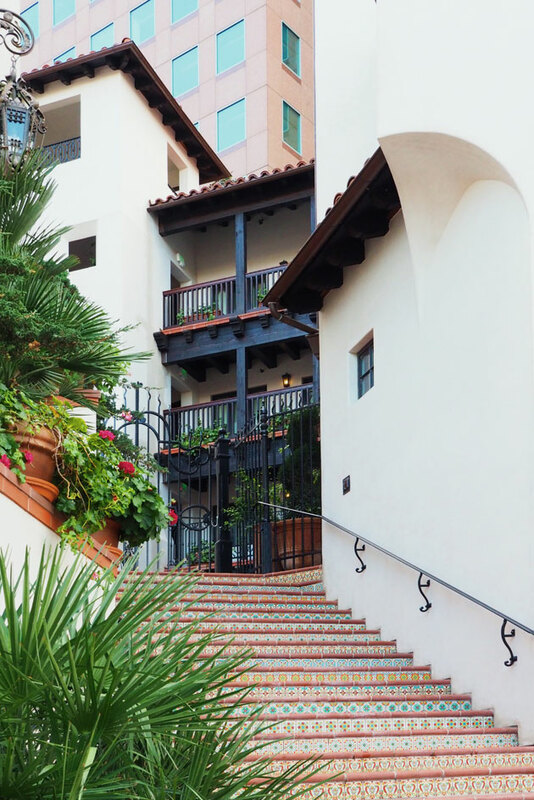 The building is articulated in massing and scale to read as two structures, creating a stylistic variety that harmonizes with the rhythm of Westwood Village’s traditional architecture and urbanism. 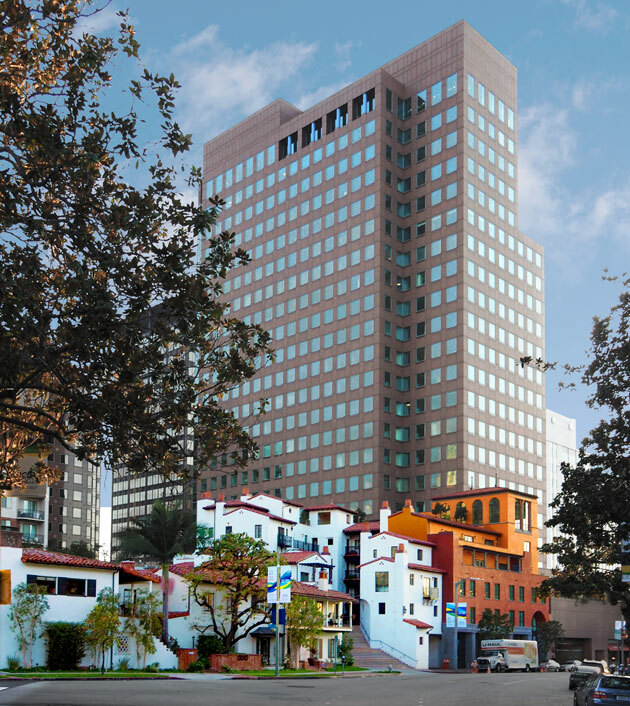 Transitioning between the scale of Westwood Village and Wilshire Blvd, Plaza la Reina terminates Lindbrook Avenue and becomes a picturesque base to the Center West tower.